A targeted CV is a critical marketing tool that will convince an employer to invite you to interview! We will help you customize your CV to showcase your skills & work experience for a specific job vacancy. Why should we hire you? Just one of the tricky questions often asked by interviewers! Our coaches will train you to be calm, confident, and well-prepared for all interview questions. You got the job? Well done! If you are relocating, our consultants will give you lots of practical tips on housing, the cost of living, income tax, etc. All our services are free of charge for candidates. Insight Enterprises.... We have tasked Careermoves with helping us fill a diverse portfolio of business leaders and experts in the field of high-end Solutions and Services. Lynda O`Riordan has proven extremely capable of understanding our requirements and with very limited guidance identify top calibre candidates across Europe. T+INK.... Careermoves was a tremendous help to us to find a high-level Managing Director for Europe with a very specific skill set in the IOT sector. The Director, Lynda O’ Riordan, was patient, methodical and very aligned with our process. The candidates she put in front of us were always first rate and she was indescribably helpful in vetting and counselling each choice. She had a great way of knowing when to give insight on an individual and then retreated as we went through our internal evaluation. I recommend her strongly and plan on working with her again in the near future. SAP IRELAND... Careermoves Irland has proven an excellent partner for our Human Resources team at SAP Ireland! Dedicated to providing a service tailored precisely to our needs, Careermoves consistently fulfills our requirements for highly-qualified, multilingual professionals from EU countries. The agency pursues a hands-on, responsible approach to recruitment and we look forward to even closer cooperation in the future. APPLE COMPUTER, IRELAND..... Apple Computer Ireland have used Careermoves Ireland for almost 4 years. Careermoves are excellent in the sourcing of German candidates for us (across all functions) .. I find the service to be excellent.. Careermoves are very competitive, candidates are well screened and informed prior to interview ... they are excellent at providing prompt and efficient service when it is needed. Careermoves react exceptionally well to what is very often a very demanding recruitment function here in Apple and provide a personalised hands on service which is rare these days. I would have no hesitation in recommending their services. SIEMENS ENTERPRISE SERVICES.... Over the past two years, Careermoves Ireland has sourced some very highly-skilled IT engineers and networking specialists for our service business in Ireland. The quality of the people provided to date has been excellent and all have seamlessly integrated into their groups and are working exceptionally well in this very demanding environment. I have no doubt that the care and attention to detail shown by Lynda and her team in both understanding the brief and in the candidate selection is the principle reason for this high success rate! BLUEMETRIX.... Careermoves has worked tirelessly to recruit top quality candidates for Bluemetrix in the Hadoop and Big Data sector. By gaining a clear understanding of our recruitment needs, Lynda has supported our growth and supplied us with excellent candidates with the right experience and the right attitude. Lynda is highly responsive and works efficiently to arrange interviews across time zones and borders. We highly recommend the services of Careermoves Ireland. CONSIGAS.... The Careermoves Team provide an excellent service for which we are very grateful. We had to fill a highly technical role within a very tight deadline and the agency supplied a list of relevant candidates within a few days. For us, the biggest value of a recruiter is their network and ability to propose highly skilled candidates who match the requested requirements. Careermoves is exceptional in the regard that not even one single candidate we received was a waste of time. In addition, she also supported our new engineer with his move to Ireland which was a big help. We highly recommend Careermoves Ireland. 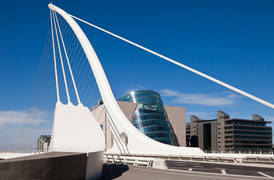 SYMANTEC CORPORATION, DUBLIN.... Careermoves Ireland consistently source on our behalf top quality technical candidates. Lynda & her team have worked to ensure the delivery of qualified & experienced personnel who will fit into our specific work environment. Lynda always provides us with a professional service & she is always my first point of contact when I have a German language requirement. SIEMENS, CORK.... Careermoves Ireland has proved a very successful partnership for Siemens Global Customer Interaction Centre in Cork, Ireland. Working on Projects with short lead times such as 2 weeks can be a challenging time for any Human Resources department. It is a comfort to know that a phone call to Lynda and her team at Careermoves can guarantee the successful recruitment of highly skilled, multi-lingual professionals who want to be part of our organisation." THE MERCHANTS GROUP IRELAND.... The Merchants Group (Ireland) Limited formed a successful partnership with Careermoves Irland during the year 2001. At this point we were recruiting for our client, a Swiss Financial Institution, who required experienced customer service representatives. Recruitment proved challenging as we required a specific Swiss German dialect. Lynda at Careermoves became a key contact and delivered a steady pipeline of high calibre candidates, filling most of our requirements. Lynda readily took on the challenge of convincing Swiss German candidates that relocating to Ireland was an excellent move. Her support at this point was greatly appreciated and we will continue to use Careermoves Irland as one of our main supplier agencies. SYKES IRELAND.... Careermoves Ireland has always proved to be an excellent partner for SYKES (provider of outsourced Call Centre services) in the provision of high quality German speaking technical professionals. The Human Resource department in SYKES has continually received excellent assistance from Lynda and her team in fulfilling contractual requirements to extremely tight deadlines. We are confident in the knowledge that Careermoves Ireland will continue to be an excellent support to the company going forward." Don't take our word - Ask our Candidates! The Careermoves International team headhunted me and introduced me to Lynda for a role in 2018. Lynda is meticulous in how she assesses a candidate for suitability and ensures that her clients receive high quality individuals that meet the specific requirements she is given. The whole process of working with Lynda was a joy and she was able to manage all of the details of the interview process so that they were as straightforward as possible. I highly recommend Lynda and her company for clients and candidates alike. Honestly, I am speechless describing my experience with Lynda during my relocation process. She was incredible since the first time we talk. She gave me all the information about the potential employer as well as supported me during my first months working there through frequent follow up calls with me and my manager. In addition, Lynda was extremely kind giving me a huge variety of advices about my destination city and conducted the process in an unprecedented and professional way, making it as smooth as possible. Finally and to sum up, I am proud to highly recommend Lynda to the LinkedIn community and to whom may be interested in her services. It seems there is a recurring theme in Lynda's recommendations..... and mine is no different :-) After working with a number of recruiters and agencies over the years, I can honestly say that the experience with Lynda stands out as truly exceptional. My interaction with Lynda was how it should be and an example to all other agencies, this was not a scattergun recruitment drive, but a truly targeted placement. Lynda takes great care in matching candidates with opportunities, this benefits not only the candidate, but also the company she is hiring for. I would consider that I was truly headhunted and matched to a perfect career progression for me, not only in the role itself, but very importantly for me, the culture of the organisation she matched me to. Communication at every step of the way was excellent, as was the advice and support offered. If you are looking for your next challenge, or indeed looking to hire, I couldn't recommend Lynda's services more highly. I was headhunted by Lynda for a Enterprise Architect role at Insight. She explained me the role with a great level of details which perfectly matches with my aspiration for the next career move. Her ability to match person's skills and experience with opportunities is outstanding. She has also great understanding of the new technologies which is from my viewpoint very important for a recruiter. Lynda has great communication skills with step by step approach. I appreciate a lot her advices and support during recruitment process. She made entire process much more straightforward. I highly recommend Lynda and Careermoves services. My experience with Careermoves Ireland was a very pleasant one and I am happy to have been found by them. From the beginning I loved Lynda's sincerity and kindness as she was always trying to help me in every possible way. I was offered an exact and clear job description but also the salary and benefits were properly explained, and because of this, I decided to follow through. During the entire interview process I was guided with patience and good advice, and I was able to get the perfect senior role that I’ve been waiting for. I am grateful for her help in shaping my career and I would wholeheartedly recommend Careermoves Ireland to everyone! Lynda is a very professional and amazing recruiter. Her ability to understand personality and appropriate career paths is remarkable, she understands very well the level of professional qualifications and finds appropriate offers within a short period of time. I am very pleased with her mediation in finding the right business position for me. I sincerely recommend her and Careermoves. Careermoves helped me find a new job as a Senior Big Data Hadoop Adminstrator in Cork, Ireland. I could not have done it without their help. They also gave me advice on many issues to do with relocating my family to Ireland. It was such a professional, but personal experience. I have recommended the agency to all of my friends. Incredible support from Lynda in getting my new role at Insight UK. Lynda is extremely professional and delivered on every single promise made during the process. I wasn't entirely sure I fit the required skills and expertise for my current role, but Lynda's continual support and guidance (not to mention breadth of experience in my chosen industry) helped me to focus on securing the position and develop my career. So glad our paths crossed! I was head hunted by Lynda, and I have to admit it was certainly my best experiences of this kind; Lynda was able to get me very engaged in the process, extremelly kind and supportive for the whole process and the first months at the new job. I was a point in my career where I had a nice job and felt confortable with it, but I wasn't able to get new challenges and opportunity to develop my career in a real international context; Lynda was able to present me an opportunity that provided me all what I was missing in the old job. During the process Lynda was able to fully exploit my expertise and to present my best value way to the employer. After nearly one year at my new jobn, I can affirm that Lynda really helped me to make a turning point in my career, and she got me in a position where I am able provide all my best value. I am really grateful to Lynda, for my new position, for all her humany and empahty, a for her huge commitment to my new job. “From the initial contact until the final placement, Careermoves Ireland provided a thorough and professional service that helped me receive an excellent career opportunity with a major IT-company located in Dublin, Ireland. Along the entire recruitment process I could benefit from Careermoves Ireland’s profound and long-year recruitment experience in terms of sophisticated advisory and all-time support. I'm very pleased to write this reference to promote this outstanding and exceptional service provided by experienced, very competent and dedicated individuals." “Thanks to Careermoves Ireland I managed to get the job I wanted to have in the country that I always wanted to get to know (better). I was impressed by the friendly manner in which I was met at all times while preparing for the job interviews, and after. Even after having moved to Ireland it nice of Careermoves to follow up on me. At the same time, without a doubt, they always maintained a highly professional approach to things. Especially my interview preparation was great, as it was tailored to both the position I was seeking and to myself as an individual. 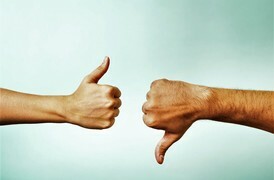 I give Careermoves Ireland two thumbs up!" CALL NOW TO SPEAK TO A CONSULTANT! Our agency specializes in finding high-calibre European candidates for a wide range of jobs with top Irish companies. 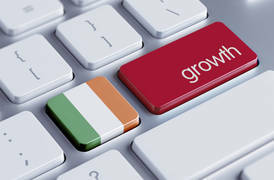 Founded in May 2000, Careermoves Ireland is today the first choice for many leading international firms based in Ireland. 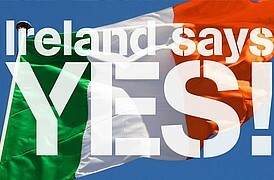 We will help you find the right job for you in Ireland! Our dedicated team provides intensive interview training, focusing mainly on language and presentation. As a result, our candidates are well-prepared, confident, and perform extremely well at interviews. All our services are gratis for job seekers. Careermoves consultants speak fluent English, German and French.